approximately 700,000 barrels per day, offering new opportunities in the petroleum industry. At this coming year's show, you'll have no shortage of business development opportunities as well as network with companies from across the globe. Several big-name companies in the oil and gas industry have signalled their intent to be part of GIPEX 2019 in the South American country now regarded as the next oil and gas hotspot in the region. We could not be more pleased as 2018 got off to a spectacular start which participants say have exceeded their expectations in the level of participation, interest and support for the summit in its first year and cemented GIPEX as the South American country's largest petroleum summit to date and 2019 will be even bigger with the Ministry of Natural Resources, the Guyana Office for Investment (GO-Invest) and with the support of number of other state agencies. Guyana International Petroleum Business Summit & Exhibition 2019 will encompass three days of presentations and interactive exhibitions running from 26-28 March 2019. 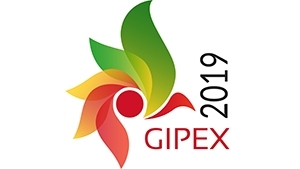 GIPEX 2019 expects to meet key stakeholders associated with Guyana's Petroleum Sector including Ministry Officials, State & Private Oil Companies, International Service Providers & Equipment Suppliers, and International Experts. The summit and exhibition will bring together senior level decision and policy makers from the Global Petroleum Industry and will focus on trade and investment opportunities in Guyana in this upcoming and important sector. The Summit will also provide a platform for researchers/scientists and academic people to share and globalize their research work while the participants from industry can promote their products thus facilitating dissemination of knowledge. We anticipate participants from around the globe with thought provoking keynote lectures, oral and poster presentations; displays of services, technology and investment opportunities presented and discussed for both national and international companies. We anticipate participants from around the globe with thought provoking keynote lectures, oral and poster presentations; displays of services, technology and investment opportunities presented and discussed for both national and international companies. What to expect at GIPEX 2019? Ministries, Government Organizations, Associations, Industry Experts, and National and International Oil Companies. This is an excellent opportunity to do business and promote your company. The GIPEX 2019 will see an evolution of topics, with more case studies as the technology becomes more embedded in the industry. Would like to attend for networking, please provide details on registration.